Two titans of Breton music, noted for their uncompromising experimentalism, have released their latest albums. For Yann-Fañch Kemener, Roudennoù/Traces is his last artistic statement, as Kemener passed away (aged 61) in March 2019 from cancer. 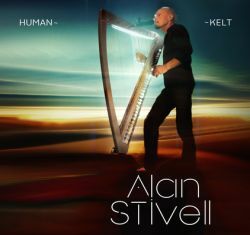 Alan Stivell’s Human~Kelt is a celebratory album after more than fifty years in music. The new pieces from both men allow us to compare their two legacies, as both Roudennoù/Traces and Human~Kelt share a fierce pride in Brittany’s language and heritage, but they are markedly different, musically. First, we must note that Brittany’s language – found in the northwest of France -- is a Celtic one. Language is fiercely important to a people’s identity. Conquerors will usually attempt to stifle the language of those whom they oppress. (Take, for example, the stigmatization of Welsh by the British; the penalty for speaking Welsh was to wear a cord, or ‘Welsh-knot’). For Bretons, the integration of Brittany into France threatened their language. Breton had gone into decline as French became more widely utilized by the populace. Breton nationalism – especially since the 1960s/70s – has sought to keep traditional expression alive. So it is that Yann-Fañch Kemener became a massively important figure within Brittany. Kemener collected songs from around Brittany, and he was fascinated with the peoples’ culture. Kemener was enthralled by the Breton fest-noz, communal music and dance gatherings. He was instrumental in revitalizing kan ha diskan, a ‘call and response’ form of singing that is performed in conjunction with dancing. Kemener was possessed of a fantastic voice, and his early series of recordings Deep Songs of Brittany garnered both awards and directed attention to Breton folk music. Over the course of his career, Yann-Fañch Kemener performed kan ha diskan, but he sought to let the artform blossom. Particularly striking is the work that Kemener created with baroque cellist Aldo Ripoche on An Dorn (2004 Buda Musique), which made enthralling, hypnotic chamber music out of Breton music. Yann-Fañch Kemener also sang on several albums of sacred Breton chants. In other settings, Kemener founded the contemporary Breton group Barzaz; more recently, he also collaborated with a Czech bal folk band ba.fnu, lending his voice to electronic loops and samples in a futurist folk soundscape. 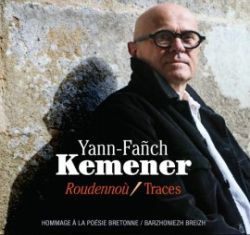 Roudennoù/Traces is Kemener’s culminating tour-de-force, a two-CD set built on the back of over forty-five years of research into the Breton language. Billed as an homage to Breton poetry, it would have helped if Buda Musique had included English translations of the songs and recitations in the liner notes. But, the intent of the project is clear. Kemener also included some works in French, such as “Langues prolétaires” by Émile Masson (1869-1923). On that selection, Masson waxes reflective on language’s essential nature – it is the expression of a people’s conscience, whether rich or poor, forged in the crucible of social history. Kemener has sought out poetry by both men and women, and the poetry is set amongst songs with accompaniment and a capella kan ha diskan. Notably, on Disc 2, Kemener sets aside several tracks to devote to Yann-Ber Kalloc’h (1888-1917), who wrote in both Breton and French. Kalloc’h died in the service during World War I. His poetry was mystical yet earthy, and the Kalloc’h set starts with his most famous poem, “Me 'zo ganet kreiz ar e mor (I was born in the middle of the sea).” Kalloc’h honored his parents with this poem, referencing their hard toil, fishing and farming, in view of the open ocean. Throughout, the accompanying instrumentation is subtle and gorgeous, lifting traditional Breton song such as “Pe oen me bihan, bihan” to ecstatic heights. Erwann Tobie’s accordion is often present on many tracks, never detracting from Kemener’s poetic recitation. Heikki Bourgault’s guitar playing provides driving rhythm, and sympathetic support. Anne Auffret’s harp playing caresses some tunes, and Aldo Ripoche’s cello adds a depth and richness (as on “Barzh an Turki”). Roudennoù/Traces thus feels like a literary travelogue, stopping at points around Brittany to take in a local fest-noz, a dash of cider, and then on to the next consideration of a people’s soul. Kemener, ever the artist, lets the scenes unfold, his own voice one part of a stream of consciousness of natural, rough-hewn beauty. The result is a beautiful, dignified record. Alan Stivell’s work in Breton music is well-established, with his first recorded work (a single, “Musique gaelique”) appearing in 1960. Stivell had already been immersed in the Breton language and culture; his father, Georges Cochevelou, achieved renown for having built a Breton harp to revitalize the instrument. Stivell, too, would go on to play various kinds of harps – from steel-strung, to electronic – as well as the bombarde, bagpipes, flute, whistles, and drums. His Renaissance of the Celtic Harp (1971) remains a folk revival classic, and the recording would later strike a chord with New Age sensibilities. In the 1960s, Stivell moved in Celtic-rock territory, with live concerts approaching a Dionysiac frenzy (witness the stunning À L’Olympia, from 1972). 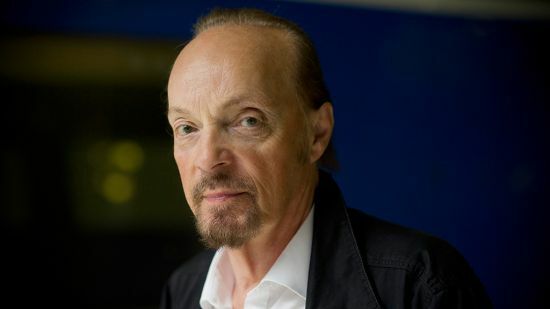 Stivell also premiered works with full-blown orchestration, and he drew from the wellspring of Celtic myth for inspiration for thematic folk-rock works (such as The Mist of Avalon, 1991). Ever restless for new sonic territory, Stivell brought in world-music influences (1 Douar/1 Earth, 1998), while becoming increasingly proficient with technology and modern production techniques (Back to Breizh, 1999; Explore, 2006). While the albums diversified, Stivell’s sound was always recognizable. I like this concept a lot, and I think that it summarizes Alan Stivell’s career: one of constant reinvention and re-proposing material. Stivell has continually re-mixed himself. The 1993 album Again revisited highlights from Stivell’s back catalog. 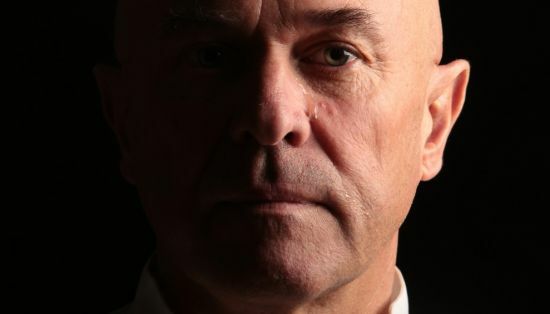 On Human~Kelt we are treated to some old chestnuts, such as “Brezhoneg ‘Raok,” a selection from Stivell’s Symphonie Celtique, and “Tri Martolod,” both of which sample Stivell himself. So we get to hear the older Stivell duet with his younger self . It's a bold and slightly but deliciously bonkers idea. The range of material covered on Human~Kelt runs the gamut from ballads to rave-ups; from the symphonic, to techno-rock; and from stripped-back local folk, to world music hybridization. Listeners might feel that they are inside Alan Stivell’s mind, surveying the sounds of a long and storied career. Samples and found sounds flit about the mix. Unfortunately, I did not find that the album hung together as well as I would have hoped, and the end effect, for this listener, felt schizophrenic (as on the track “Kelti[K]A”). I wish that the glossy production had been lessened – references to Stivell’s Celtic-rock past emerge with dirty-sounding electric guitar, but it feels more like a pale gesture rather than the real crunch of those immortal 1970s recordings. In terms of updating his sound, I yearn for Stivell to work with a producer who could add some radically new beats: while Stivell can certainly establish a groove, I think that he could once again turn Breton folk music on its head by dubbing his material into something spacey and danceable, rather than warm re-treads of earlier glories. © 2019 RootsWorld. No reproduction of any part of this page or its associated files is permitted without express written permission.